Civilisation affords humans to become expansive in their intellect and creativity. Living in an age where new trends and technologies proliferate, it’s worth looking at one that challenges the most valued of all, space—a delicate concept. Space can mean different things to different people. For most, it conjures up that positive feeling of adequate freedom that allows us to express, yet at the same time safeguards our comfort, welfare and individuality without the fear of being restrained, enveloped or constrained by external pressure. New movements can overturn everything we’re familiar with, including our workspace. It distorts the point between ‘work and play’ and charms unfettered working people to gather in these newly defined offices called co-working space. 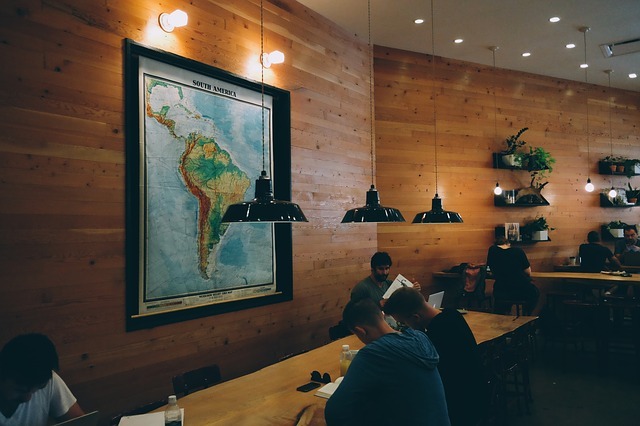 Like any tale of innovation, co-working space is born out of a gap between what consumers want and what they need- ‘something which is more than a café but less of an office’. So, how does this new trend, which disrupts our cosy idea of space, suddenly become popular? Several factors come into play in catapulting this new trend. As property prices spiral, rents go through the roof, the gig economy grows bigger and businesses outgrow their ‘apartments’, many smaller organisations, freelancers and generally those who like a change in scenery are ditching home offices for co-working spaces. Perhaps the rising demand of co-working spaces is also because these spaces have quickly evolved to provide workers with the mix of quiet areas, open plans spaces, formal and informal collaborative areas that help to make an office environment highly functional. Variety is also what makes it work. There’s something for everyone; from those who prefer basic to those who prefer fancy. Packed with benefits, it is easy to yield to its temptation–it can make you rethink about its benefits and consider how this ‘change’ could recharge and instil new inspiration in you. It’s little wonder that this new concept, which offers innovative, flexible, cost-effective, and inter-connected community workplace environments, is picking up speed even with larger organisations. Companies such as Google & Facebook have led the way by investing heavily in their workspaces. These companies are educating the market to understand that if the environmental needs of their staff are met, this is where they get their biggest ROI. Since co-working is here to stay, the next question is how do you protect and preserve your brand identity in a shared workspace? Amy Picanço, Founder & Managing Director of Aym Design, illuminates us about brand identity and how to preserve a brand’s image in co-working spaces. Her recent discourse on the co-working world takes on how the workplace has always attracted different design concepts intended to not only increase efficiency, productivity and happiness but also to retain brand identity. As a company that emphasises on a holistic approach, Aym Design takes special care to balance style, function and ergonomics. The working environment is very much a part of the brand distinctiveness, coherently working together to reflect the values and principles, internally as well as externally. The co-working branding set, which includes your shared space’s name, logo, marketing materials and digital character, must work to tell a story. The image you want to create and the culture you want to foster affects everything from the location of your space, overall layout to the final aesthetics –colours, furniture and furnishings, and the images you use on the walls. The top three things that people want access to at work are natural light, greenery and mixed workings areas. 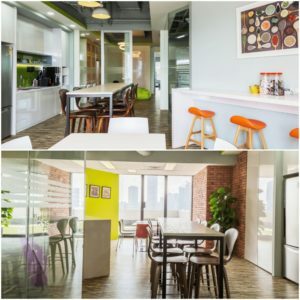 Since offices are becoming places of collaboration and personal connections, it is only through design that a brand can co-exist, while maintaining uniqueness, in a co-working world. Since the brand and the office space are intrinsically linked, the office environment should be considered a part of your brand package, clearly reflecting the mission, internally as well as externally. Aym Design is currently in a phase of dynamic growth and their clientele span from international to local businesses. Their diverse and growing portfolio demonstrates their ability to cater to the distinct design needs of different businesses.